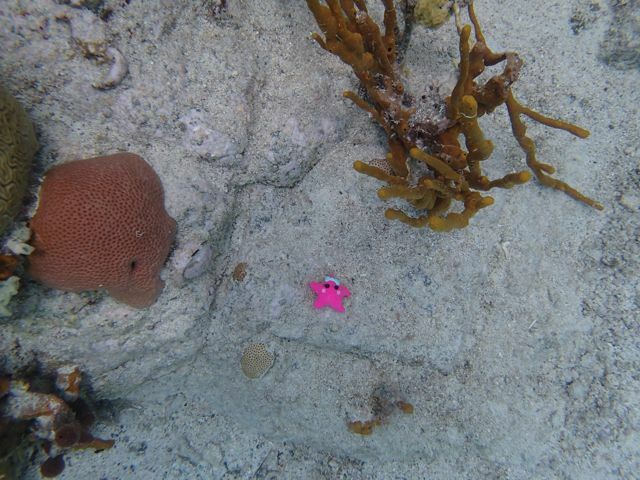 First of all, to get it out of the way, I have a few complaints about the naming of these little ocean-dwellers. 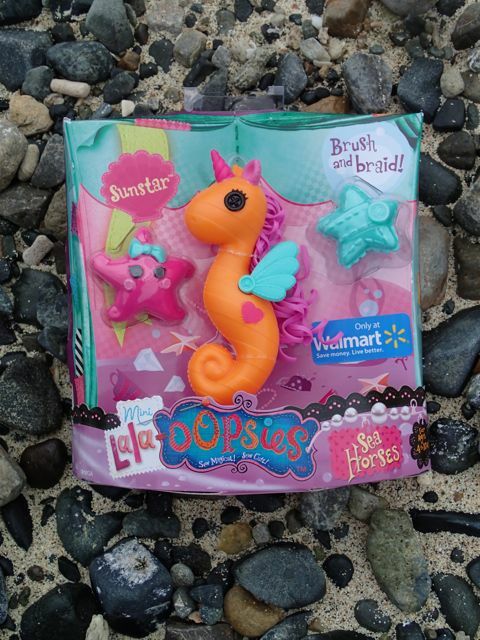 "Seahorses" should be spelled with all one word. I suppose that "Sea Horse" is the brand name of these particular toys, but I just wanted to get it out there that real seahorses are all one word. Also, this isn't a seahorse! 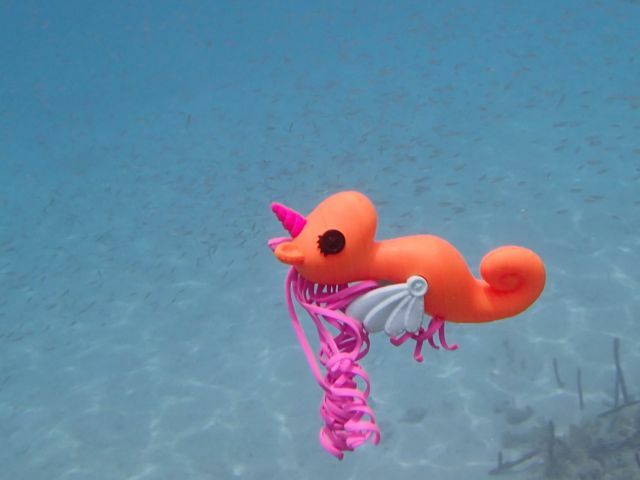 It's a sea unicorn (that might be two words). 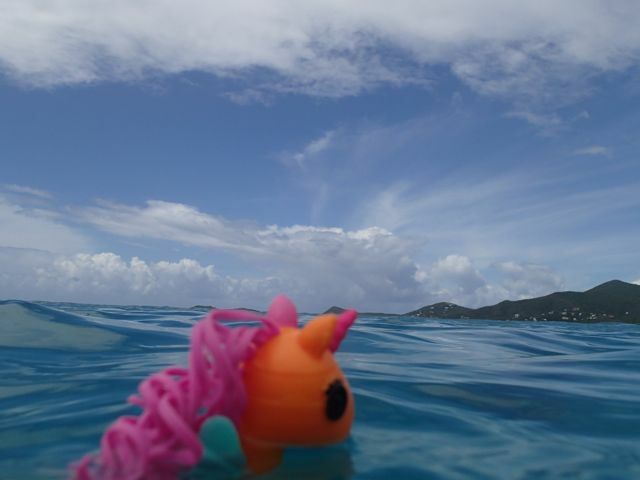 Seaunicorn? Sunicorn? 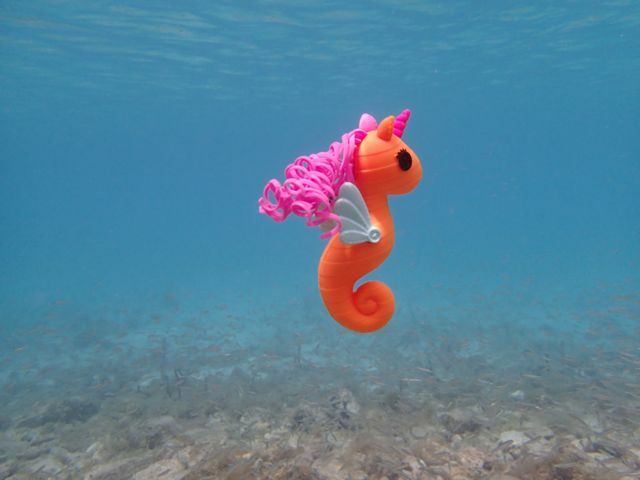 In any case, she is much, much more than just a plain seahorse. 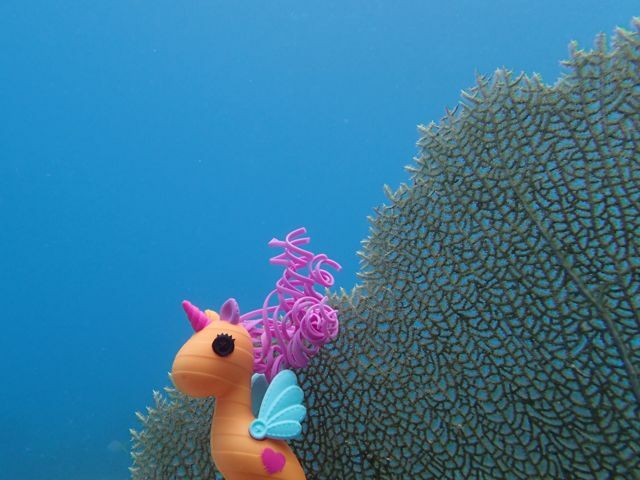 She has a little horn and even a pair of wings, although my husband insists that the wings are her pectoral fins. Humph. I think she's a flying seaunicorn. She is accompanied by a little starfish friend and a starfish-shaped brush. She is a Walmart exclusive and cost me $6.99. According to the box, there are four Sea Horses to choose from: Sunstar, Sea Squirt, Brittlestar and Dottyback. The pictures on the box are misleading because Sunstar looks striped in the picture, but she's solid orange in real life with only a molded stripe pattern. 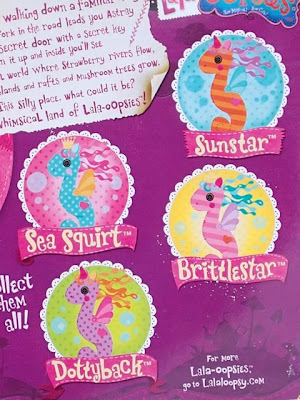 The names of these characters are the names of real sea creatures--but not types of seahorse. 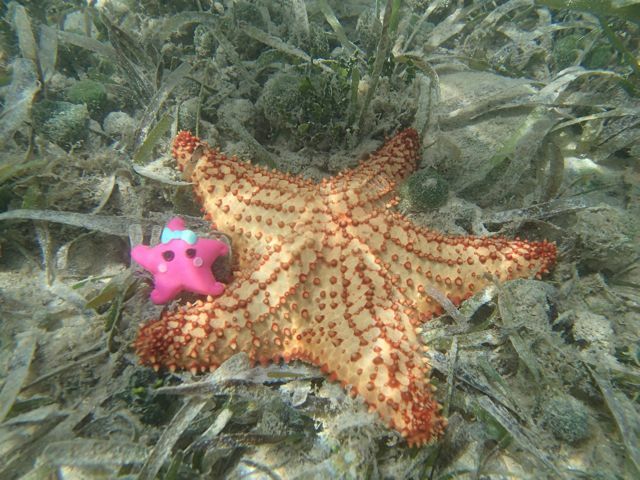 A sunstar is a type of starfish. 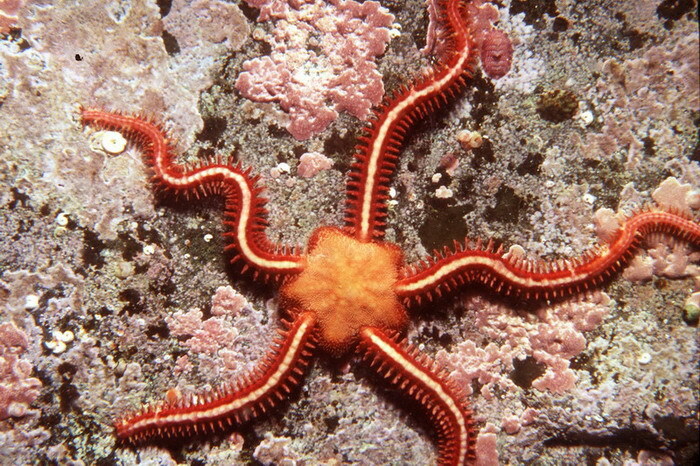 A brittle star (two words) is an echinoderm that is closely related to the starfish. A sea squirt, also known as a tunicate, is a spongy-looking marine animal that appears to be nothing like a seahorse....but is actually in the same phylum. 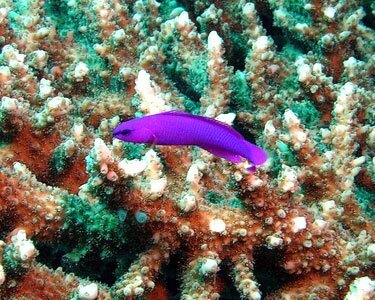 A dottyback is a bony fish--a real fish. Have I mentioned that I am a biology teacher? Yeah. So anyway, seahorses are bony fish, and are in the same group of animals as goldfish, salmon, tuna and most other fish you've ever heard about. It's a little strange that two of these characters are named after starfish (not real fish), and one is named after a tunicate (spongy blob), but I guess the names all sounded good together or something like that. Moving on. Every other word is capitalized. Facepalm. She has a little pink heart painted on her left side, made to look like a sewn-on patch. She has an endearingly broad, rounded face with differently colored ears. Her ears are the only features that seem to put her in the mismatched Lala-Oopsie family. 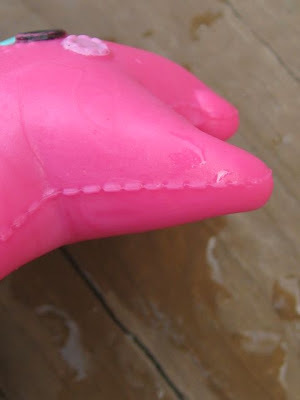 She is made out of solid pink plastic (she sinks in the water). 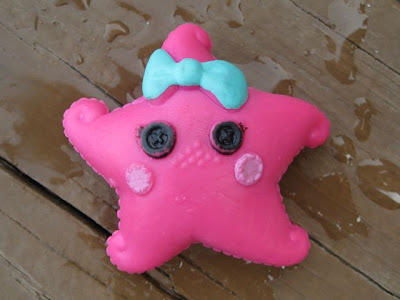 Her black button eyes and pink cheeks are smudged from being exposed to sunblock. 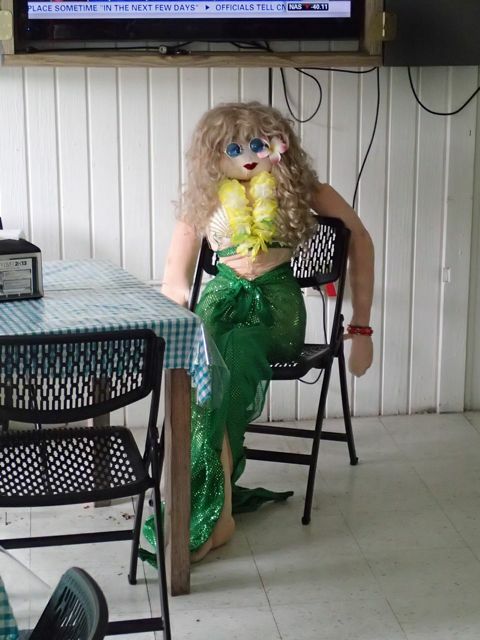 She came with perfect paint and probably would have been fine in the water...just not in sunblock and water. Sunstar's mane can't really be brushed (and doesn't really need to be brushed), so this is an odd accessory. 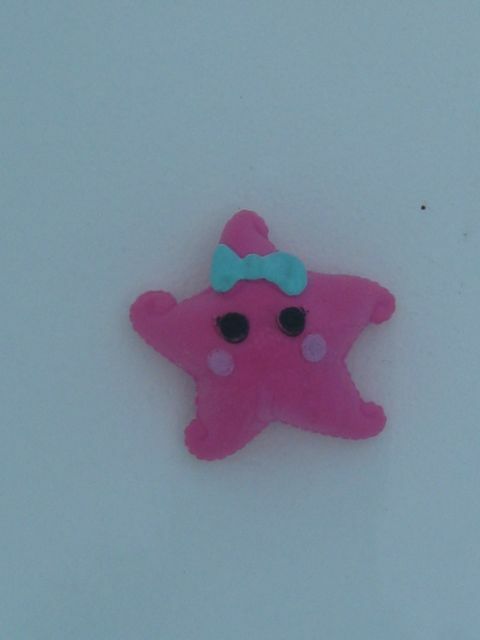 I wish they'd left it out and maybe included another cute sea creature friend...or just charged a little less for the set. 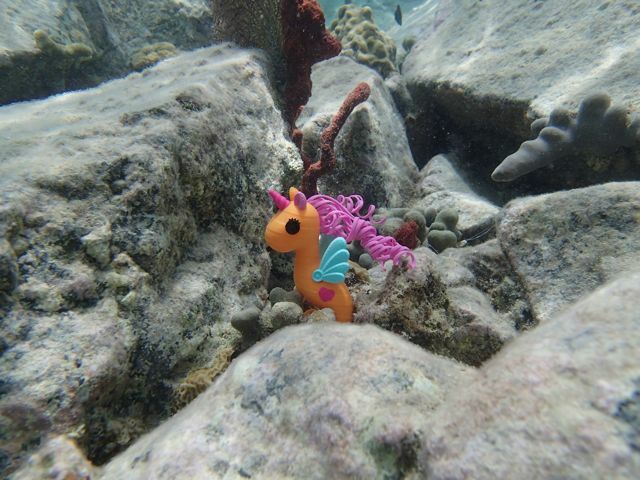 Now, Sunstar and I will take you on a little tour of a nearby cove. 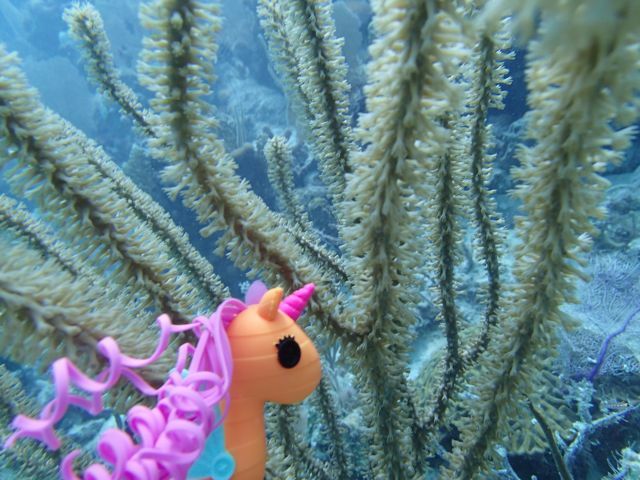 Here she is, descending down to inspect the coral reef. She doesn't come with a name, so I call her Denise, after a type of pygmy seahorse. 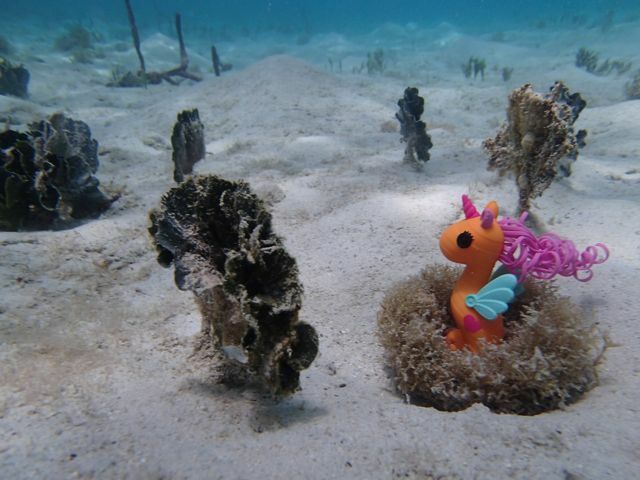 I figured that since Sunstar is named after a starfish, the starfish should be named after a seahorse. Denise and her cushion sea star cousin. Bottom line? 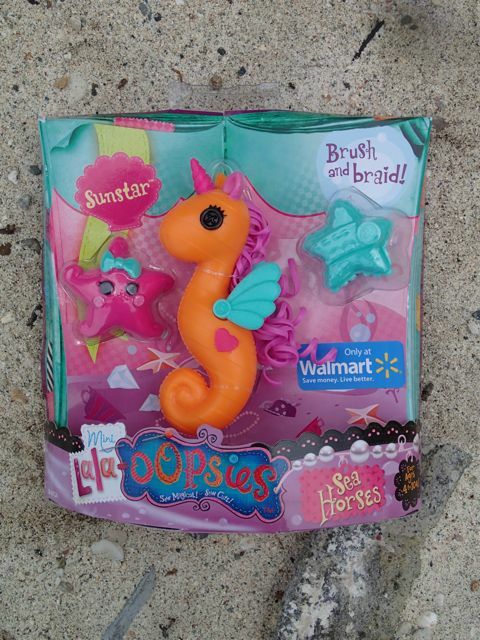 This Lala-Oopsie Sea Horse toy is fun and unique. 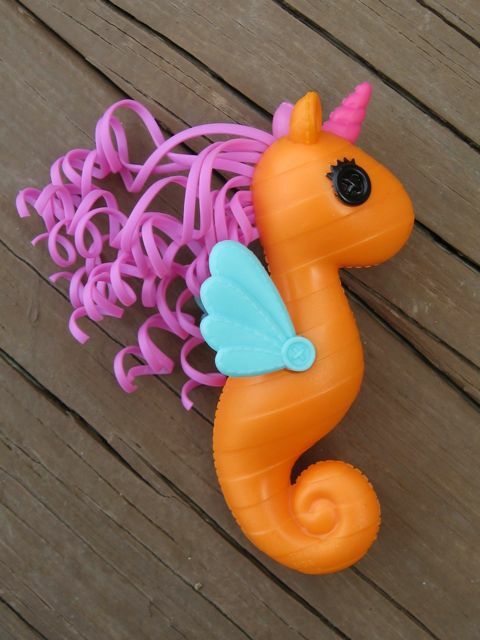 I'm not aware of any other seahorse toys currently on the market...or at least not ones this cute. 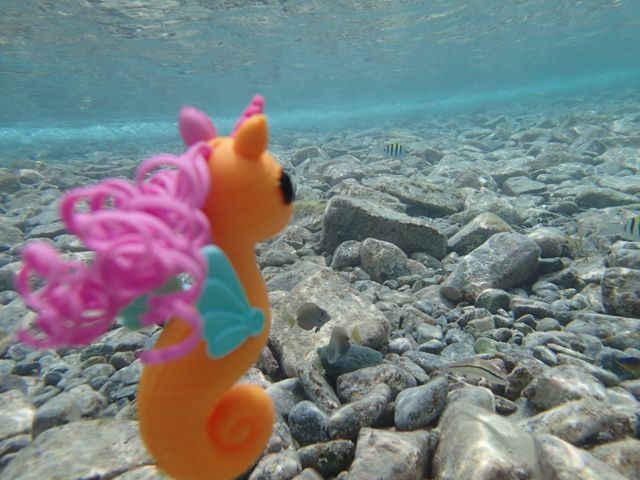 Not only is she a nice toy on land, but she makes a wonderful water companion. She is easy to carry around and seems durable. She tolerated several days of salt water, sun, sunblock and a chlorinated pool with no problems whatsoever. 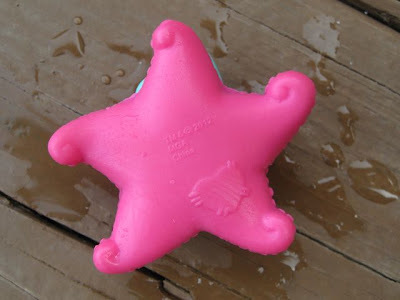 I do recommend keeping this toy away from sunblock, though, based on what happened to Denise the starfish. 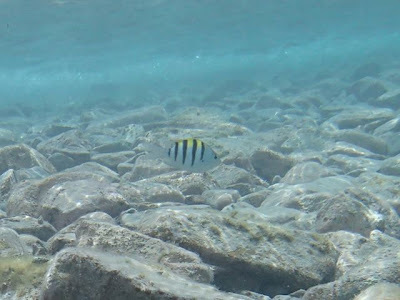 It was neat to have Sunstar along on our snorkeling adventures, and even my husband (who I owe credit for many of these underwater pictures) admits that she was kind-of fun to pose. 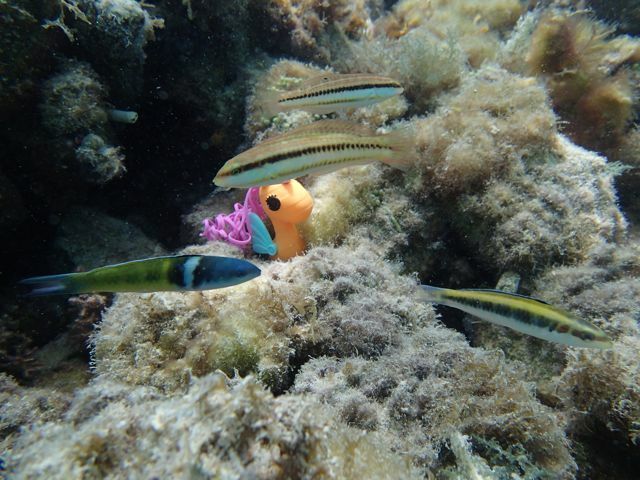 The fish were very curious about her, and so she often attracted a small crowd and added to our underwater experience. 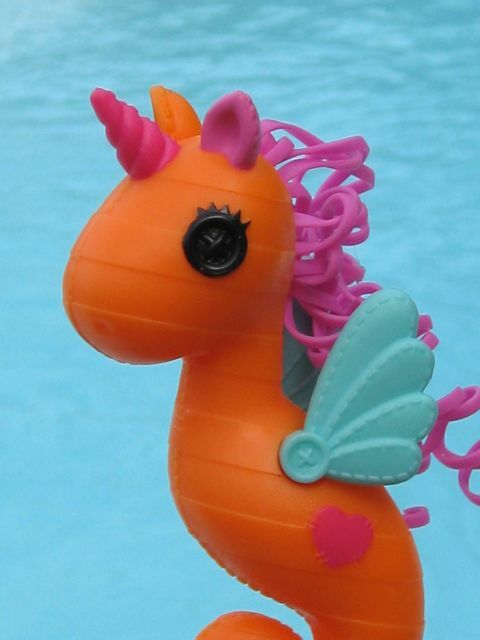 If my kids were younger, or reluctant to go in the water, this toy would have been a perfect way to engage their interest. 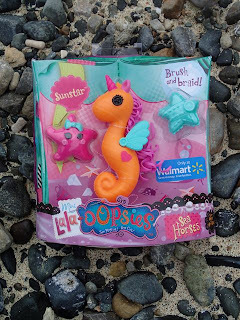 If you have young children and are planning a beach trip this summer, I highly recommend bringing along a Lala-Oopsie Sea Horse to share in the fun. I think that the price of these seahorses is reasonable. 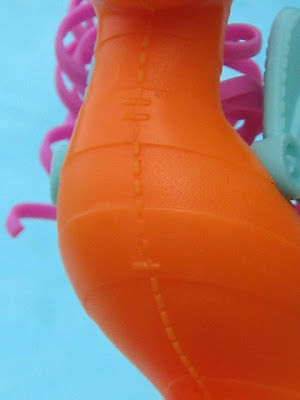 Most mini dolls cost between $5 and $10, so this toy falls comfortably in the middle of that range. You probably can't trust me on this, though. I find that when a toy shares special experiences with me or with my kids, it takes on a whole new level of sentimental value. After our wonderful week here on St. John, this little patched-up orange seahorse has become priceless. Great review and yet again I am sold of one more item - we just got our Liv dolls from ebay a few days back and they are just as awesome as you had said they are! 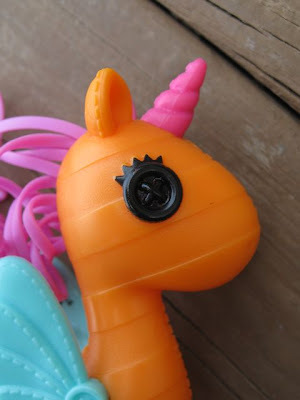 Another thing I love about your blog and reviews are that you always inject something about science in so I am guaranteed to learn even more than just about how a certain toy/doll is awesome (or not). If we were headed to the Caribbean (which we are unfortunately not) I would definitely go right out and pick up one of two of these for my 5yo daughter just based on your review. Thank you so much, Andrea! 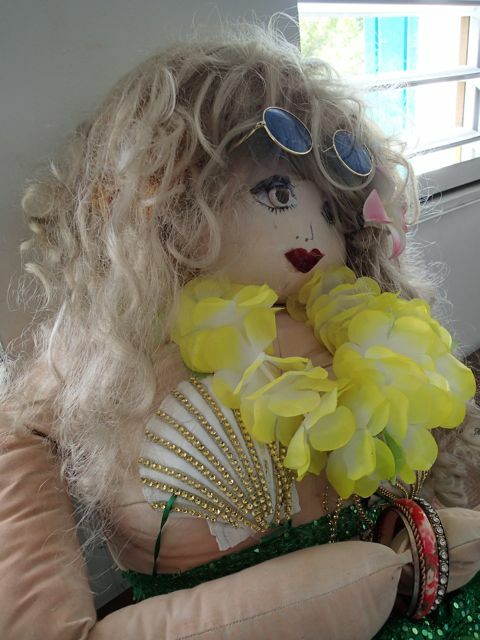 I am so, so happy that you are enjoying the Liv dolls! I still use them as a standard by which to evaluate most other dolls. They are so well-priced on eBay now, too (some of them). Just to follow up: I found all four of the different varieties at Wal-mart today but bought only three of them - the last one seemed wonky. I got them to replace the gross and gunky Barbies that my kid has played with in the bath tub for probably over a year and they were such winners with her!!! 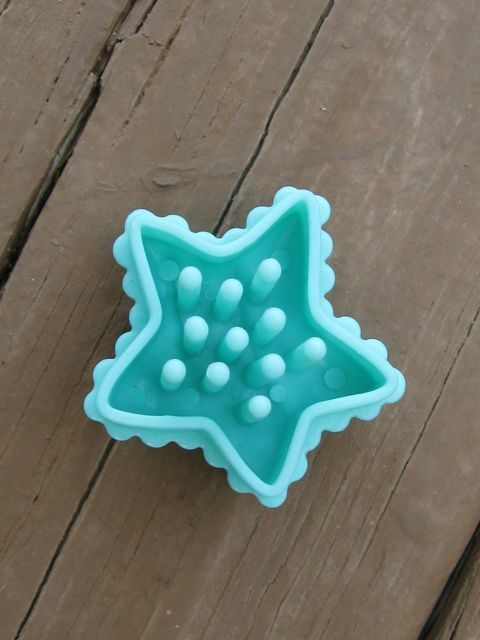 Your review was completely spot on and I almost want to go back to the store and pick up a few more for my nieces. I wouldn't have even looked once at these before your review but I am seriously sold on them now. 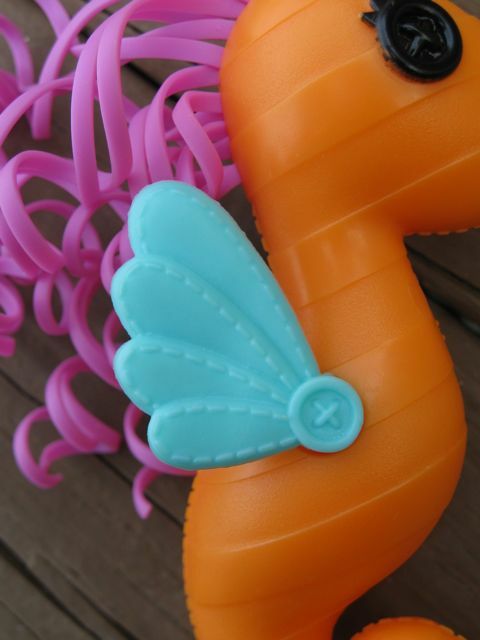 I love how easy they will be to keep clean and the hair was really easy for my kid to brush with the accessory brush. Thanks again for all of your great reviews and keep them comin'!!! Can't wait for your review of the AG doll that you have decided on. We are an AG family and I have even started customizing them to be boy dolls since AG doesn't make them. Cute! I love her! And it's so cool that you're a biology teacher! When I grow up I want to be a marine biology teacher. Hi, just popping in to say I found the Sophia dolls at Target. The mini dolls start at around $5 and are just too adorable! These are beautiful pictures. 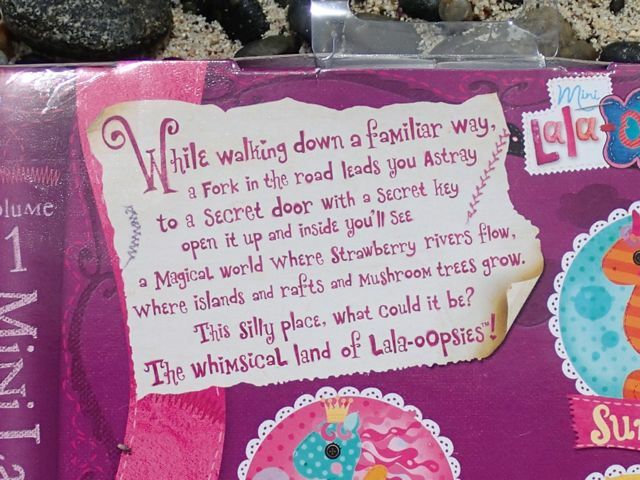 I didn't get any of the Horses/unicorns or Seahorse figures because they aren't well scaled to the other mini lalaloopsy figures I own. I do think they are cute and well priced. You're right--they aren't at all scaled with the mini dolls, are they! Good point. I don't think the minis could even ride on them that well with those swing legs. Hm. 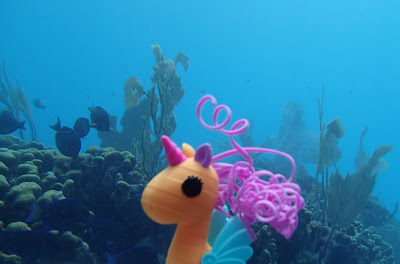 I guess they're almost in scale with the larger dolls, though, since sea horses are so small. I should have brought my Marina Anchors to the beach to see how she held up! Hi Nat Kat! You are the sweet one, I think. :) None of the minis I have can stand on their own, but there are some with non-swing jointed legs that might stand? I don't know for sure. Alice looks like she has the swinging legs that do not stand. She's adorable, though!!! Starfish are a little creepy! 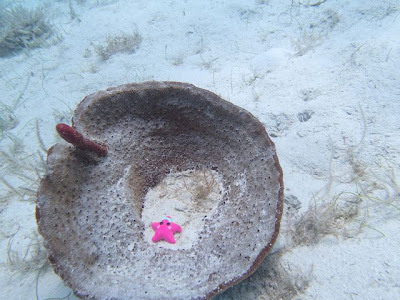 That big orange cushion sea star was in pretty shallow water and it gave me a mild heart attack when I swam over it! I have a problem with really big things swimming underneath me in the water. My husband and kids are always excited to see the really big fish but I get a little panicky! Hi Emma! Thank you! The camera was a birthday present from my extended family--it does remarkably well in the water. I think it does a good job on land, too, but I haven't used it for a doll review yet. 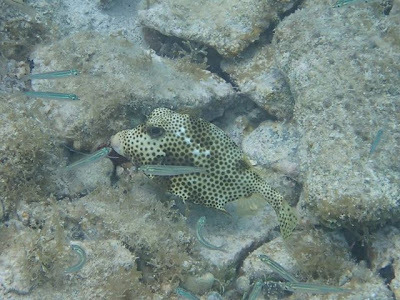 In general, underwater cameras tend to do well in low light conditions, so they aren't a bad choice for someone like me who takes a lot of pictures indoors. This one was not as expensive as many of them are. My husband did a ton of reading before buying it--it's called the Olympus Tough F2.0 and we found it for about $360. 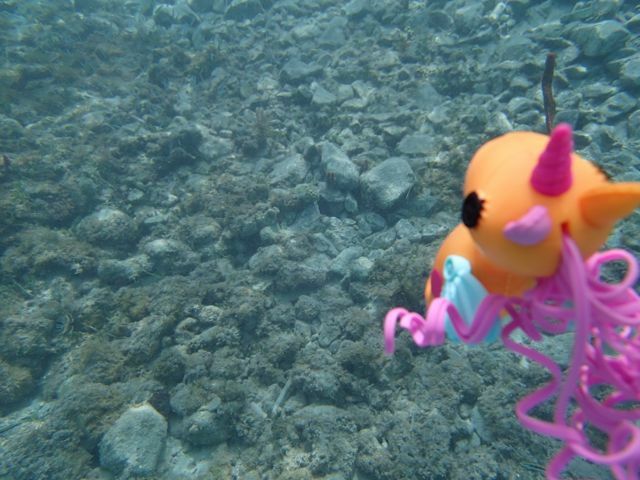 Brittlestar has been on my wish list ever since I saw pics of her online. Now I want one of these charmers even more so! How cute! 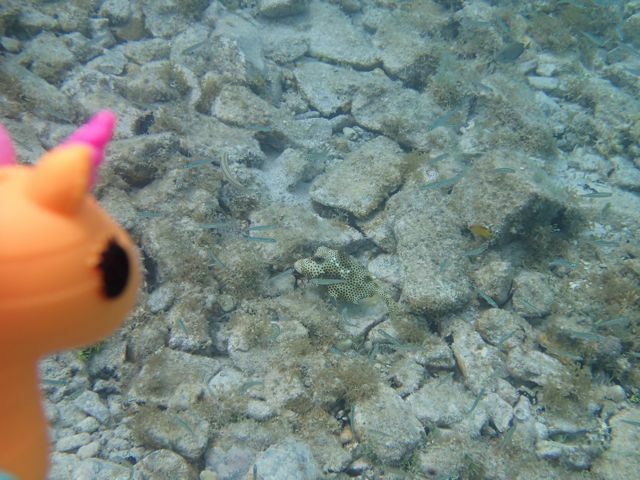 Oh, I love Brittlestar, too! I prefer the ones with the little horns to the crown versions, although they're all really cute. 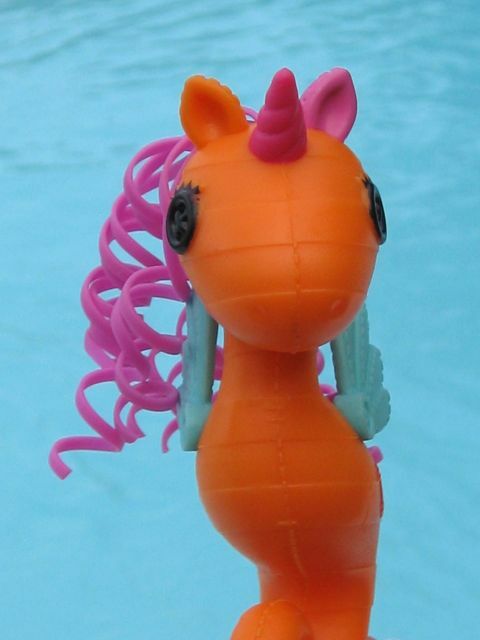 Whenever I see these and the pony versions at the shops I go insane and just say "AH THEY'RE SO CUTE"
then after my mum looks at me strangely..
as well as half of the shoppers..
LOL! :D They ARE so cute, though! I don't blame you! One day i'll have money.. and when that day comes I SHALL BUY THEM ALL! This really is a cute toy and looks like it could be a fun bath toy if you weren't on holiday. Oooh! Excellent idea! She would make a great bath toy. My boys always used to play for hours in the tub with little toys like this. Thank you, Sarah! 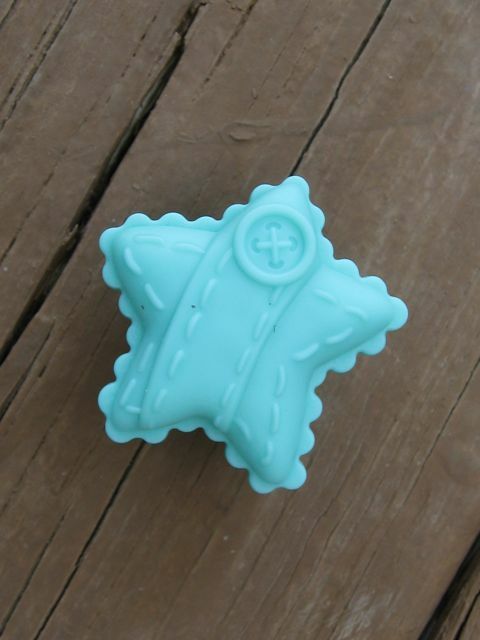 I hope you can find one of these little cuties at your Walmart for a great price! Those underwater pictures are amazing! Aw the underwater pictures are so cute! Also, I think these Lalaloopsy mini dolls are great toys for their inexpensive cost. 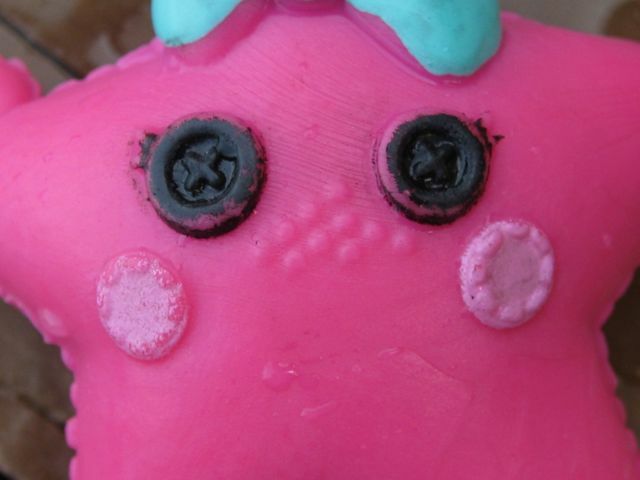 I love all the little molded details on the dolls and their accessories.. I own several of them but probably wouldn't have been quite so tempted to get them if they didn't come with such detailed and tiny accessories! Too bad they missed the mark with that completely unnecessary hairbrush, though. I still need to get a Lala-Oopsie horse and a mini. 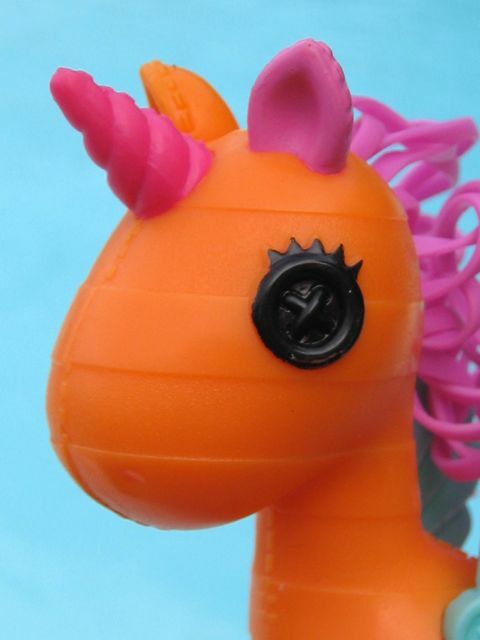 I've fallen in love with many if them but every time I go to the toystore I get distracted by Monster High dolls and I don't even get enough time to look for Lala-Oopsie horses and minis, lol. While I was reading that part under the box pictures it immediately reminded me of you being a biology teacher, hahahahahaha. And did you actually say spongy blob? Reminds me of a certain sponge named Bob hmm.. I really like Sunstar, she looks really cute and I think her special looking hair adds something fun to play with. Wouldn't it look cool though, to paint those stripes so that she looks like the box picture? 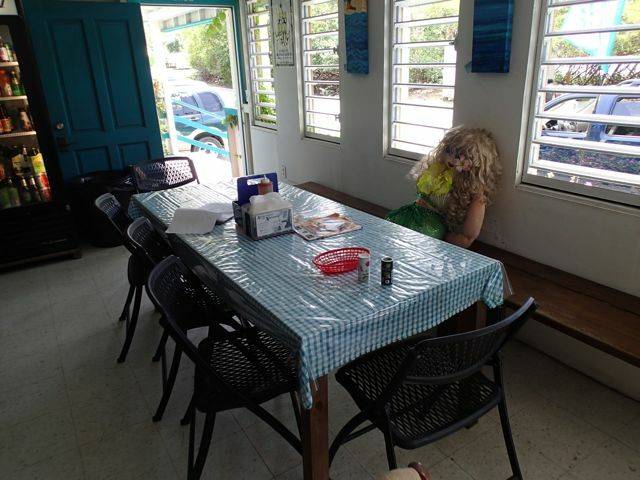 Poor little Denise. She still looks utterly cute though, even with smudged paint! The drunken mermaid is really funny and I love the (under)water pictures. 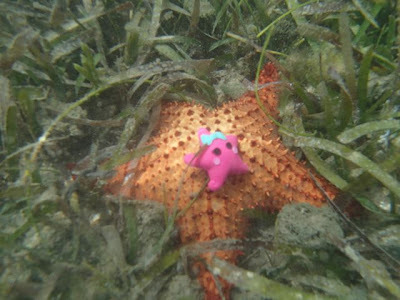 Especially that cute little sea star cousin pic. Thanks for this pretty and cute review, it really cheered me up! You make everything look so desirable with your gorgeous photography! I think you could sell me just about anything. 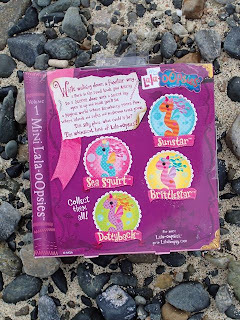 In a previous comment, I said I could not get excited about any other affordable play doll than Liv, but I admit that I did go out and buy several Mini LaLaloopsy dolls after you mentioned that your Liv girls like to hold them. I googled "liv with mini lalaloopsy" (check out the great photo of Liv Alice in Wonderland and the Mad Hatter holding the minis) and then I was off to the toy stores on a mission. Love the quality and details of these tiny dolls. 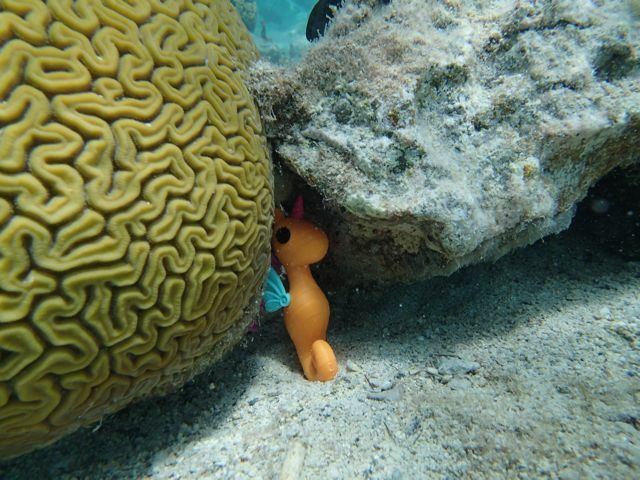 This seahorse is so cute and it looks especially wonderful in your underwater pictures. 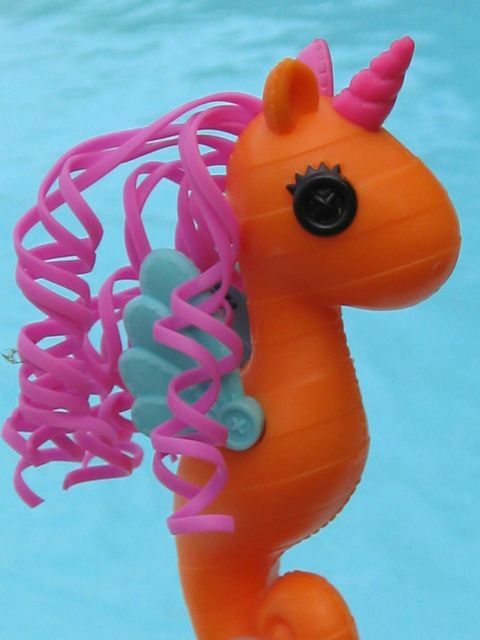 Since I am a swimmer, I may have to get one so I can have a pal. Very entertaining review! Thanks for all the joy you bring to this crazy doll lover! Happy 4th Of July, Emily! I couldn't have gotten her out of the water. 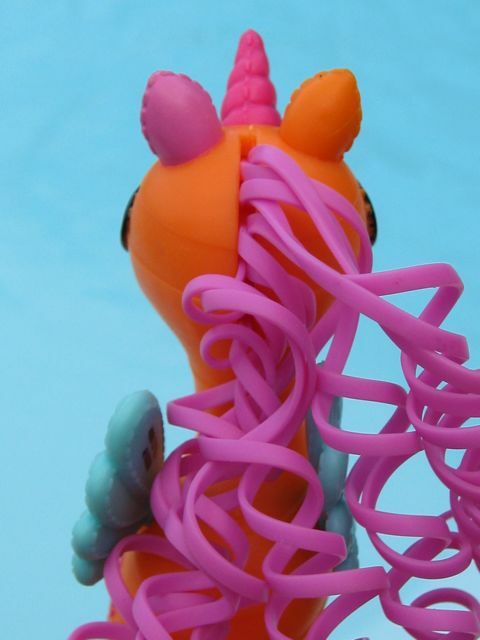 I love Loopsie ponies. Just so much character, and the miniatures that I have are in all kinds of cute poses. Verizon FiOS TV service can give you all the fun and excitement of seeing a https://freenetflixacc2019.weebly.com/ in the theater, but you can see as many movies as you want every month, whenever you want. Going to movies has gotten expensive. You can expect to pay more than $50 for an evening out at the movies if you go with a spouse or loved one, and more if you take the kids.